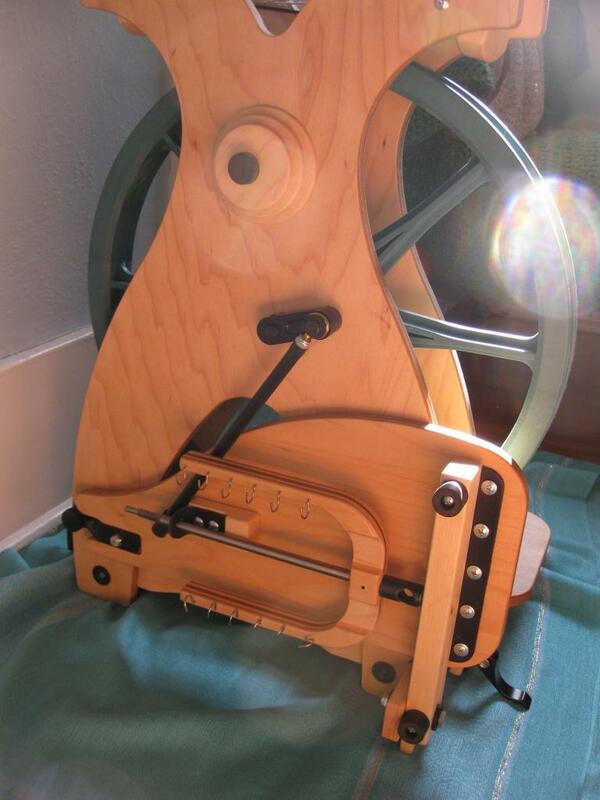 I bought a new spinning wheel at the wool market! This is my new Schact sidekick. It folds up almost entirely and has an over the shoulder strap for carrying (thus the name: sidekick – the sides fold up and it goes with you everywhere). 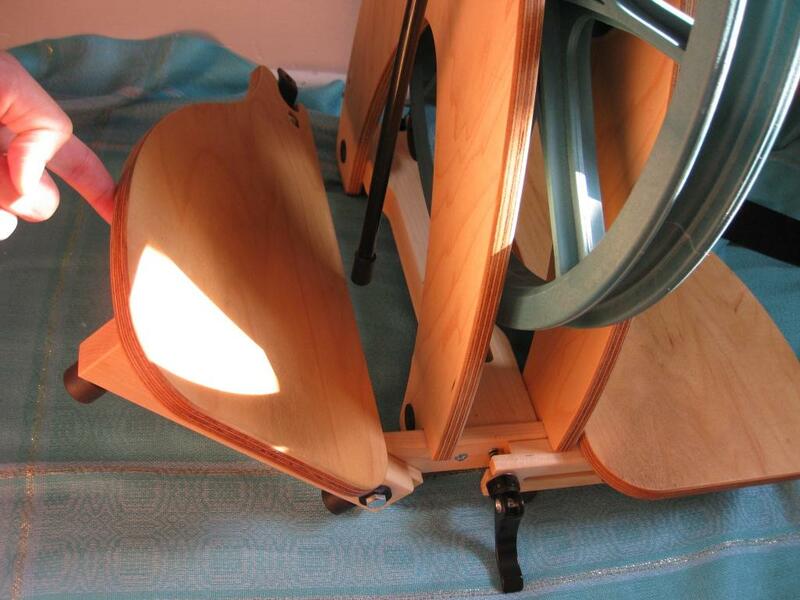 You loosen that clamp in the center between the treadles, and then the treadles pull out and then fold up. 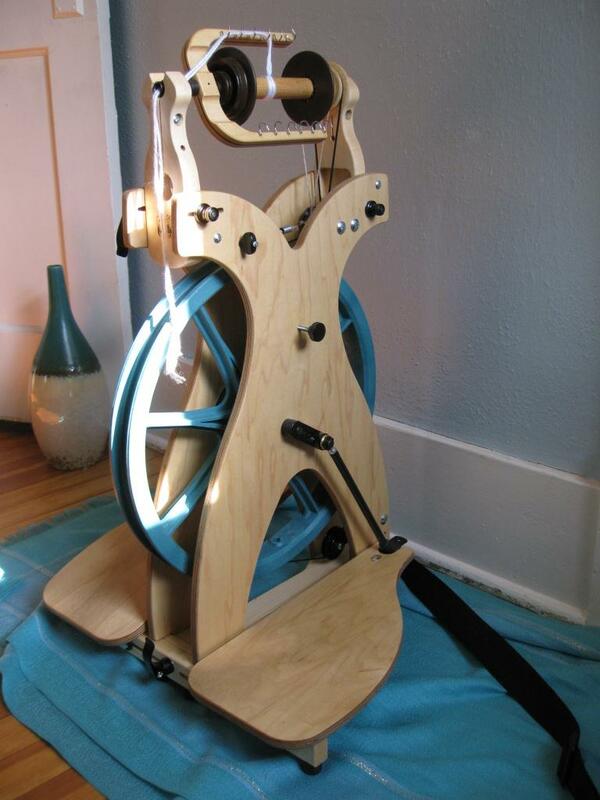 Beyond the obvious benefits of portability, I can get up to 8 different whorls for this wheel, and it came with 4. Whorls are like the gears on a bike, the more you have, the more you can control how fast the wheel turns. I’m limited to 3 whorls on my Kromski wheel, and since they are part of the flier, I can’t change them. 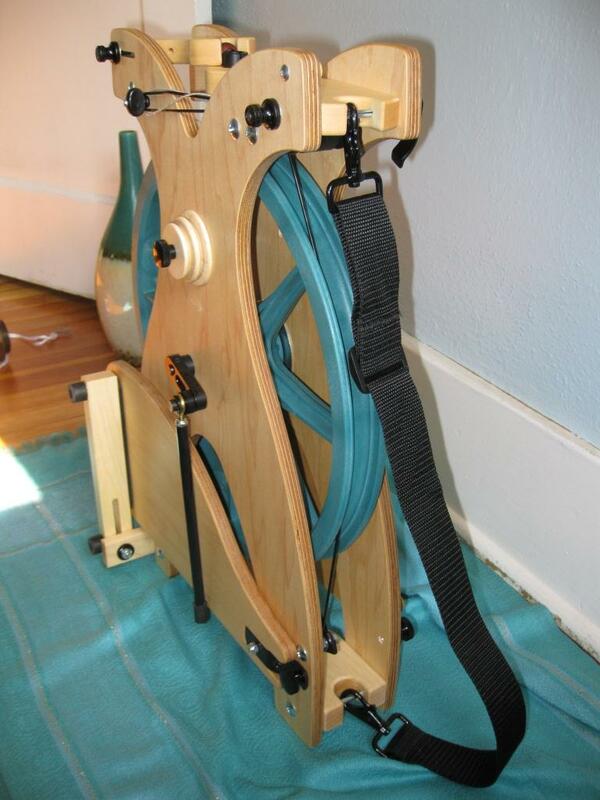 The flier tucks up into the bottom of the left treadle. I bought it from Dazzler’s Best, a yarn store and alpaca ranch out of southern Colorado. In addition to being kind and frank people, they included a Schact bulky flier, which sort of sealed the deal. This thing is AWESOME. I can’t wait to try it. The orifice (the hole the yarn passes through) and the bobbin are huge. So bigger beads, feathers, bolts, etc. will fit through. 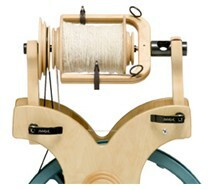 And with the big bobbin, I won’t have to stop and wind yarn off as often. I’ve only spun lace weight Archie (the grey suri) on it so far, I’ll update you all with a more complete review once I’ve tested the range of the wheel more. This entry was posted in fiber art and tagged handspinning, sidekick, spinning, spinning wheel. Bookmark the permalink.